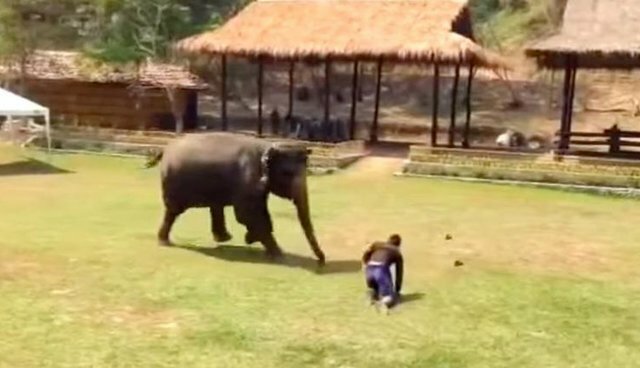 This video shows just how compassionate and intelligent elephants are - and how much they deserve our respect. This is Thongsri, an elephant who lives in captivity at a camp in Thailand. She's clearly bonded with her human caretakers and cares deeply for them - despite the fact that she's in captivity, and even when they play a heartbreaking trick on her. 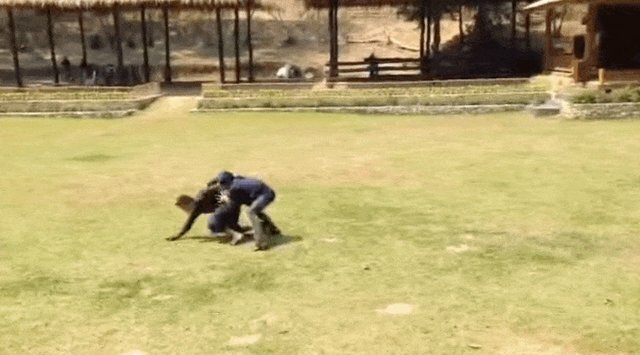 When someone pretends to attack her caretaker, she rushes over to help. Then Thongsri anxiously circles the man, trying to make sure he's OK. It's very likely she was truly worried for him: Elephants are capable of complex emotional reactions and have been known to mourn their dead. They live in highly structured family units in which they care deeply for one another - which makes this a mean-spirited prank to pull on her. While it's unclear what Throngsi's situation is, elephants at camps are often overworked and experience extreme stress when forced to perform. 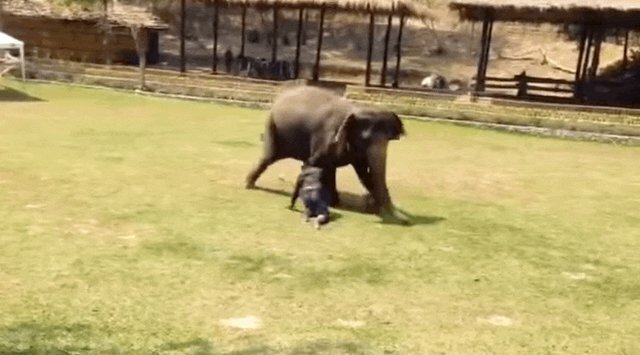 If there's one thing this video really shows, it's that elephants deserve our love and respect - and don't exist to entertain us. Click here to learn what you can do to help save elephants and keep them in the wild where they belong.